In our previous jubilee column we touched upon the issue of a "sharp ear". Today I would like to look at it from another perspective, namely, what sound quality is enough for a listener. All music fans, audiophiles and followers of mobile, "big" and even car sound want just to receive positive emotions from listening. Even if these emotions are caused by the replacement of separate components we end up listening to music, which is great. I would probably start with the letter, which states the problem in question. I enjoy reading your articles and reviews on mobile-review.com. They provide useful information without unnecessary facts and help to form an opinion on particular headphones or Mp3 player rather quickly. I would like to ask for advice regarding a player with headphones. I do not trust my ears so much as to buy Hifiman HM-801. On the other hand, if I start listening for its detailed sound (and you mention that this model reproduces the major part of frequencies very accurately helping to understand all elements of a recording) I may learn more. Is it better to start from something more average or aim at Hifiman at once? Which middle of the road player can you recommend then? I owned Cowon D2+ for some time. What do you think about it? Now a couple of words about headphones. I listen predominantly to rock and heavy metal – "fast music with many instruments involved". What will suit this selection better? 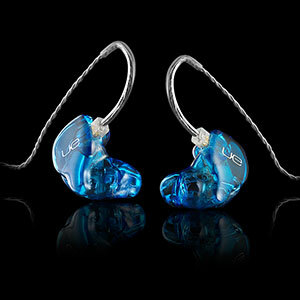 Once again I have a dilemma to go for Ultimate Ears UE11 or start from something simpler and then go up in my understanding of good sound. And now comes my final question. I am aware about two lossless formats (there may be more) - flac and ape. What is the main difference between them? Is it correct to take a CD, convert it into flac and use it with a good player and headphones? Do I need anything else, for example an amplifier you mentioned? I will start from the end to concentrate on the main topic afterwards. Lossless formats are available in abundance, but file sharing websites favor FLAC (Free Lossless Audio Codec) and APE (Monkey's Audio), which allow lossless storage of music files to save memory space. In terms of sound quality these two formats are equal, but compression levels are different. FLAC is similar to ZIP, while APE is more like RAR. Several years ago many players supported FLAC, but now all manufacturers have powerful platforms for APE decoding. From my own experience I can say that not every compression level is good for modern players. The thing is that both FLAC and APE feature several levels of compression. The higher the level the smaller is the resulting file. It is again similar to ordinary archivers. Maximum compression levels of FLAC can be dealt with on any decent player, but APE is way more demanding. On the other hand, it is not so easy to find a heavily compressed APE file unless you set Insane in the app, which grabs your CD files. So, if you put FLAC files on a good player with headphones there should not be much difference with WAV files. There is some point in an amplifier if the player offers high quality sound on the linear port, but not every sound source with any amplifier will really sound better. Now let's move on to the main question of the letter about the choice of an appropriate player and headphones set. Many consumers hesitate to buy an expensive device or not. The issue is not so straightforward. If you buy the most expensive solution you will be more or less satisfied just because of your expectations. Financially, the long period of components replacement takes its toll – memory cards, cases, tips, filters and cables will be resold cheaper. If the price is not the main point then we have a small problem that even the top players (in comparison with the rest of the market) – Alexmod and Hifiman HM-801 sound differently and there is no universal agreement here. I can advise these win-win offerings, but they will sound differently. That is why you should decide what the requirements are. Our correspondent clearly understands what he wants. He is looking for fast music delivery. Do not ignore the noise insulation, which asks for the correct selection of tips or bespoke manufacturing of the headphones. If you are ready to buy expensive components you should not rush in. I would advise to visit nearby shops and test the products from major players with the high quality (probably not mobile) sound sources. If possible meet people who already own these headphones to try them yourself. The list may contain, but is not limited to one driver Etymotic ER4p, Ortofon e-Q7, Sleek Audio SA6, Grado GR8, Phonak Audeo, and multi driver Westone UM3x, Ultimate Ears triple.fi 10 PRO, Shure SE530. Even not the fastest GR8 or triple.fi may be enough for heavy metal, especially if coupled with a good sound source. If the necessary manufacturer offers bespoke models go for it. If not, you can still find specialists to produce individual tips or put the interior components into the acrylic body. In terms of the sound source I can suggest trying Teclast T51 (they say that the latest firmware managed to tackle excessively bright sound) or Hifiman HM-801. Comparing high quality headphones (tested on in-house systems) with their cheaper counterparts you will definitely understand if the difference important for you. Unfortunately, there is no easier way. You can trust my reviews, forum gurus or sales assistants in shops, but in moments of choice you should listen to yourself. There is a risk that after some time (month, half a year or more) you will understand that you did not get the sound you wanted so badly. That's fine, so it is time to make a replacement. I never came across situations when people found their sound from the first attempt. To cut a long story short I have to say that a long and winding road of initial choice is a must, but it should not necessarily ruin your budget. You will gradually raise the benchmark. I would not advise to start with HM-801 and UE11PRO kit. Overstated expectations (and people always have high hopes for such products) can lead to disillusionment. Why not to start from decent headphones for $300? Luckily, this amount gives you a lot of choice. Then you have to decide yourself if to spend many times more or stay there. If music is only one of your hobbies there is no need to chase the best at all costs.